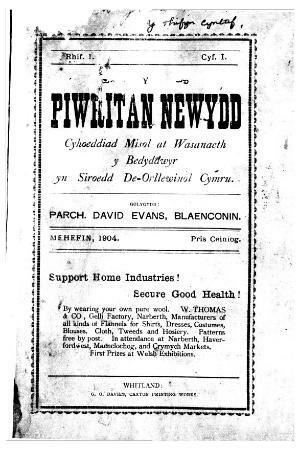 A monthly Welsh language religious periodical serving the Baptists of southwest Wales. The periodical's main contents were religious articles and denominational news. The periodical was edited by David Evans (1858-1905) until December 1904, by the Reverend J. J. Evans until August 1905, and subsequently by W. Gwilamus Williams.